Many people are not aware of the many different types of decals that can be applied to football helmets. Below is an introduction to the most common items that are affixed to football helmets today. All of the products below are offered by Healy Decals and are printed on our tough, thick 20 mil vinyl. We provide the Nation’s Toughest Most Durable Football Helmet Decals to youth organization, high school and universities across the nation. Order online today or call our Customer Service line at 800-558-1696 to place your order. Side Helmet Decals: Side helmet decals are used to represent your team’s mascot, team name or logo. 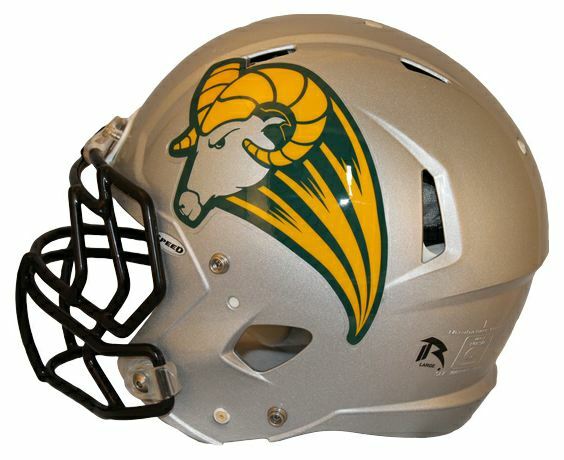 Side decals are sold in pairs and are applied to each side of the football helmet, providing a graphical representation of your team’s colors and logo. Stripes: Football helmet stripes are used to compliment the side helmet decals by creating a stunning visual effect to your team’s football helmets. Football helmet stripes are available in a variety of styles including multi-color helmet stripes, bronco style helmet stripes, multi-point helmet stripes, panther style helmet stripes, revolution style helmet stripes, tapering style helmet stripes and bengal style helmet stripes. 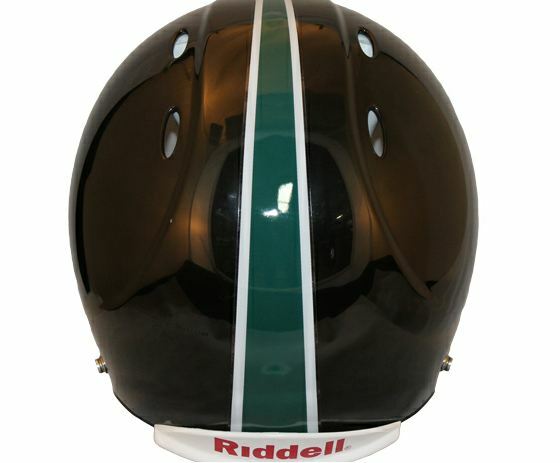 Football helmet stripes help define a team’s look by adding that extra touch to your helmets. Award Markers: Award markers, also known as reward decals and pride stickers, are decals that are affixed to a high school or college football player’s helmet. They can denote either individual or team accomplishments. The practice of awarding helmet stickers is often credited to Ernie Biggs, trainer at Ohio State University under legendary coach, Woody Hayes. The stickers stem from fighter pilots marking their planes with stickers after kills and/or successful missions. 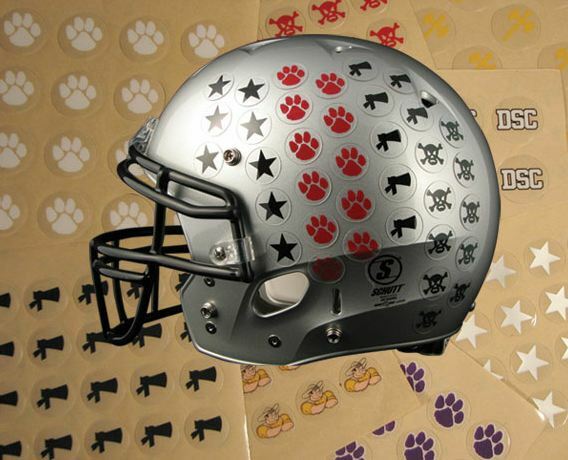 The use of award marker decals is illustrated in the USA Today article, “Helmet stickers reward college football players’ superior performance” and Wired.com article, “The Science Behind College Football Helmet Stickers“. 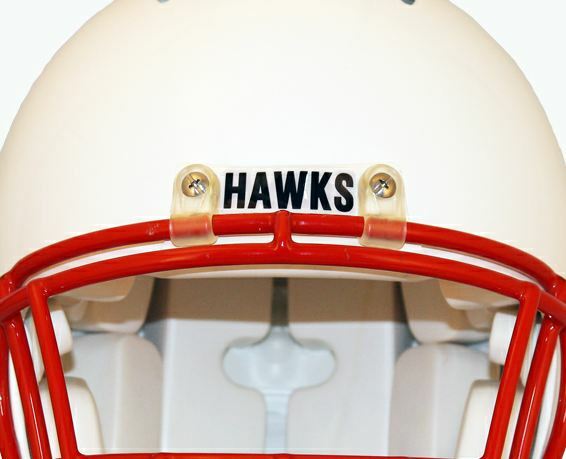 Name Strips: Name Strip decals can be placed on the front or back of football helmets and are great for covering up helmet names/styles with your own wording. Add a little touch of team spirit with front or back name strips. Great for displaying your school name, mascot name or inspiring words. Numbers: Number decals can be used to label equipment, helmets, lockers or anything that needs a number. 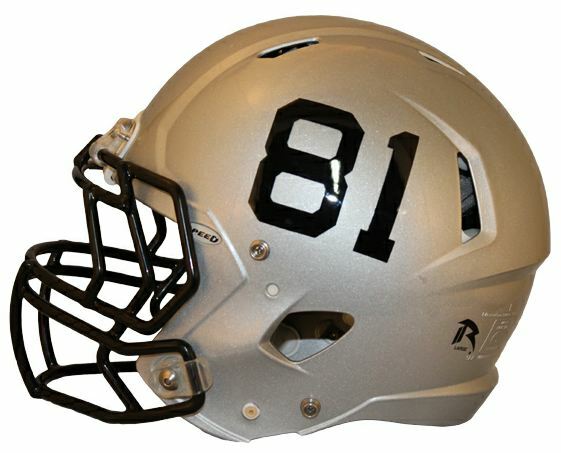 They can also be used to compliment a side helmet decal by placing each player’s number on the sides of their helmets. Number decals can be purchased per individual die cut number or in numbering system sets. Flags & Ribbons: Flag decals are used to show your patriotism and support for our nation while out on the football field. Football players can wear these proudly knowing that they are made 100% in the USA by Healy Decals. Ribbon decals provide an opportunity for individuals and team’s to support a worthy cause and let those affected know that your team is playing for them with ribbon decals worn on all of your helmets. Support ribbons can be worn for a variety of purposes all of which can be customized by Healy. 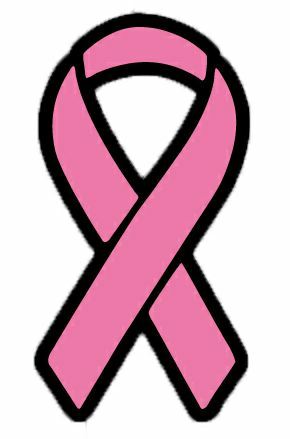 Click the following link for a list of awareness ribbons. Memorial Markers: Memorial markers are used to pay respect to a fellow player, coach or classmate by applying a decal to each member of the football team’s helmets. Memorial marker decals may include the initials, number or name of the person who is being remembered. Find Us Online to Order the Nation’s Toughest Football Helmet Decals!